These lavender blossoms in lovely linen bags are filled with organic lavender blossoms then secured with ribbon ready to use in your chest of drawers or closet. They are perfect to keep your clothes and accessories fragrant, also as a very eco-friendly and traditional moth repellant. In fact, lavender repels moths and pests naturally. 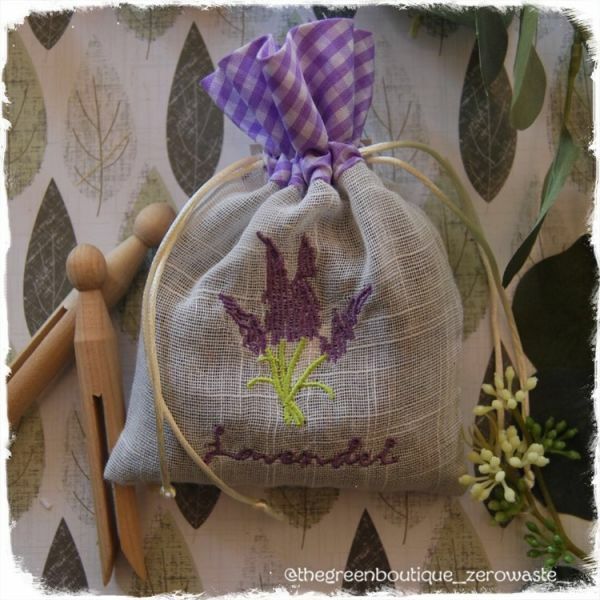 These linen bags are not just beautiful and perfect as a gift, but also the ideal way to keep your clothes fresh, scented and safe in your drawers and wardrobes! The founder Friedel Redecker earned his living as a brushmaker because he went blind as a child. The first handcrafted Redecker brushes were produced in 1935. A lot has changed since then, but today, the family-owned business continues to work using traditional methods and natural materials sourced from across the globe. The name Redecker stands for an ideal combination of natural quality, function, and design.